I feel like today was so productive. I didn’t have to go to work so I worked at home, getting the place cleaned up and the laundry up to date. I stuck to my plan to have only smoothies for meals (Tai Chi Man and I are having a Cleanse Week) and I went for an afternoon walk AND an evening swim. But the highlight of the day was the arrival of three bags from Deramores, which the mailman left on my front doorstep while I was out walking. They took two weeks to arrive, which is about the same as previous orders, and the bags were intact (two were actually double-bagged). 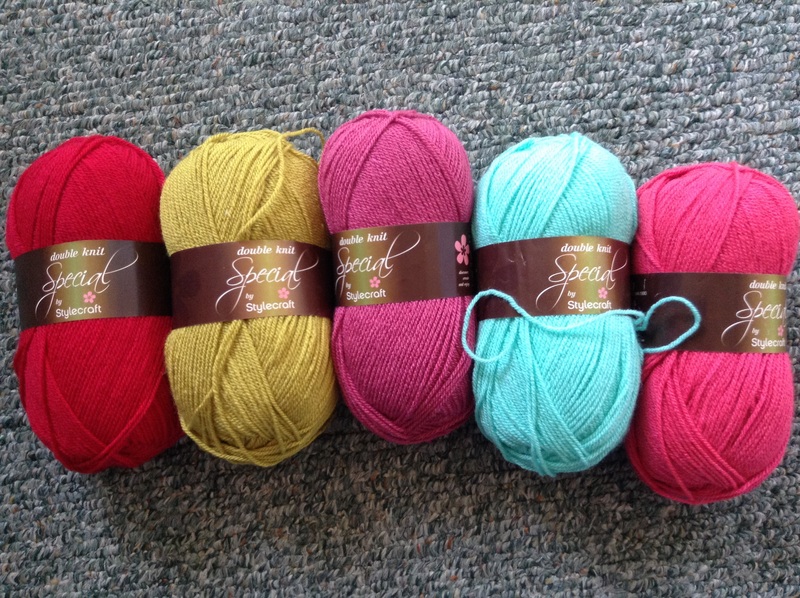 And the yarn is so pretty!! So what did I get today? Well, there was the Deramores Studio DK Gemstones colour pack, the Stylecraft Special DK Cosy colour pack (the warm tones) and the Coast colour pack (the blue tones). Plus of course the 4.5mm Addi Swing crochet hook. I’m going to bung a load of photos at the end of this post and they may be in a somewhat random order. But there are pictures of the new stuff and the old stuff and the works in progress. 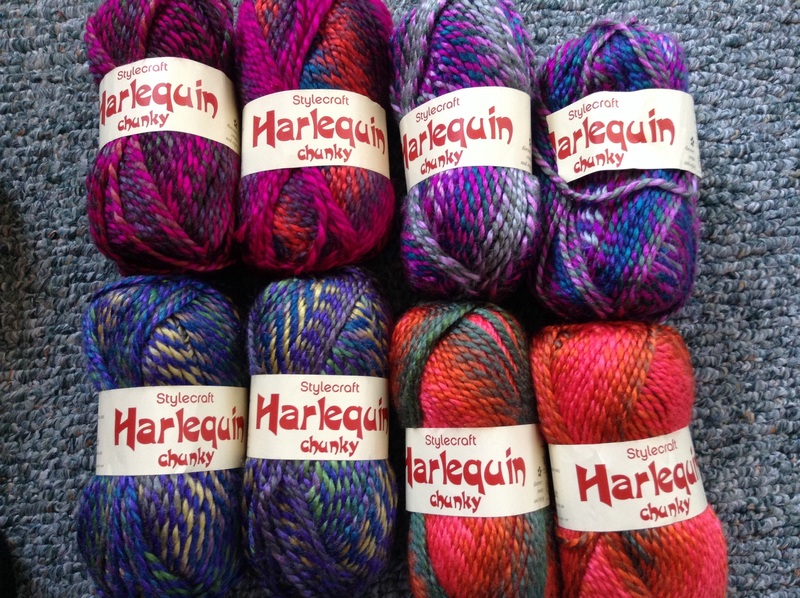 This is all my yarn – nothing is lurking anywhere else – it was all spread out on the throw on my craft room floor. And when I’d taken the photos, I had to update my Ravelry stash pages, which are still not quite accurate as I have the blanket and wrap on the go with skeins that will need to be weighed at the end of the projects. Look what arrived in the mail from Buttons& Things (www.pepsy.etsy.com) thanks to Clare at bobwilson123. Clare had a Christmas giveaway and I won these. Aren’t they fun! Clare’s site is bobwilson123.org and she also has a You Tube channel, bobwilson123, with lots of free patterns and crochet tutorials. Oh, and there’s a Ravelry group too. The Boho part of the title refers to the wrap, which I have been working on exclusively. The rows are really long though – about 74″ long – and I still have a fair few to do. The wrap is 21″ wide to the split, so when I get to a total of 120 rows and 21″ on the other side it’ll be done. Except for maybe some embellishment. This is using up a nice chunk of miscellaneous worsted weight acrylic. The “boohoo” is for my Deramores order, which still hasn’t arrived. It’s been 16 days since my order, but I suppose I should allow for a few days that they were closed over Christmas and New Year. And admittedly Canada Post is not always the fastest. My yarn is still all spread out on my craft room floor, ready to do a stash flash, but I don’t want to do it until the new stuff arrives. With it being a New Year ‘n all, I’m not making resolutions, but I do have a goal of finishing or frogging my WIPs. The above wrap is going to get done, for sure, and then I will tackle the Grandma’s Knickknacks blanket. I may well stop adding squares at 12 x 12, add a border, and call it finished, because I don’t think a WIP should be around more than a year. The skirt-scarf will probably get frogged. 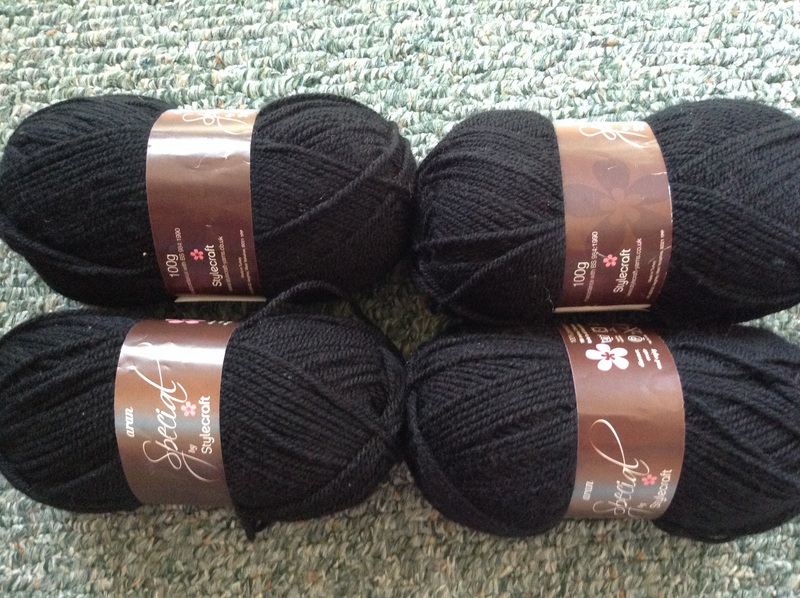 Then I can breathe a deep sigh of relief, and start making plans for the next stash-busting project. Did I mention (I don’t think I did) that I’ve joined a yarn ban-along with bobwilson123 and Thank God It’s Finished (TGIF) groups on Ravelry? To sign up, you just need to be a member of both groups and post to both of their Yarn Ban-Along threads and also contribute to their group discussions during the course of the ban. It’s a short yarn diet that runs until the end of February. I can definitely manage that. In the meantime, while I eagerly await my yarn delivery, Happy Crocheting! I took some screenshots of the yarn packs I’ve ordered and also the type of crochet hooks that I like. I already have the 5.5mm Addi Swing and a 4.5mm one is on its way. You have to be careful about these colour packs. 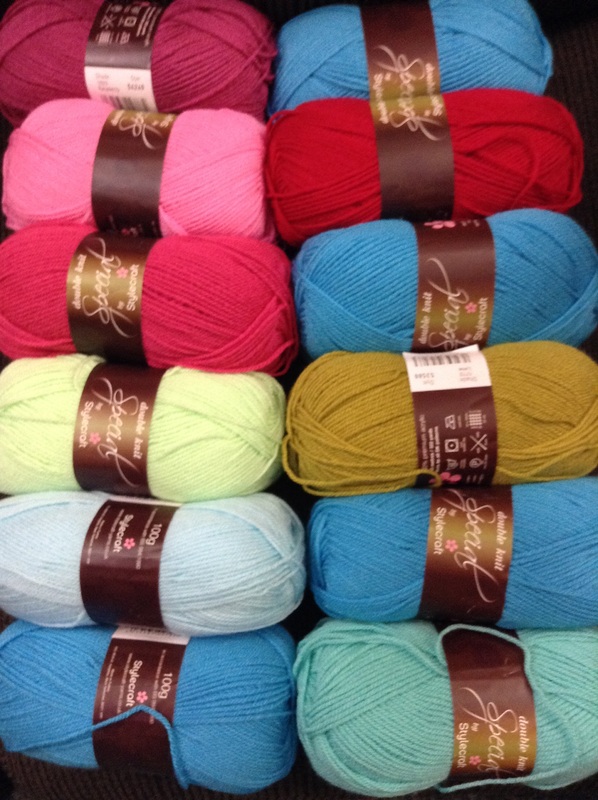 The Deramores Boxing week sale claimed to offer 25% off all yarn and I like the look of the colour packs, as there are about 70 colours in the Stylecraft Special DK range and it can be helpful if someone has already put together some coordinating shades. However, last time I was buying from them, only the single balls were on sale, not the packs. So I knew to check the prices carefully. Oddly, this time, the Cosy colour pack was priced at the same cost per ball as the single ones, but the Coast colour pack was more (approximately $2.86 rather than $2.58 each). So I ordered each colour in the Coast pack individually and saved about $4.20. Since I placed my order, the Cosy pack price has gone up to the same price as the Coast pack. So if you like these combinations, order them individually. I also invested in some Deramores Studio DK because I loved the Gemstone colour pack. I haven’t a clue if it’s any good but it’s the same price as the Stylecraft so not a huge investment. So that’s what’s winging its way to me soon. Fun! Bonus! 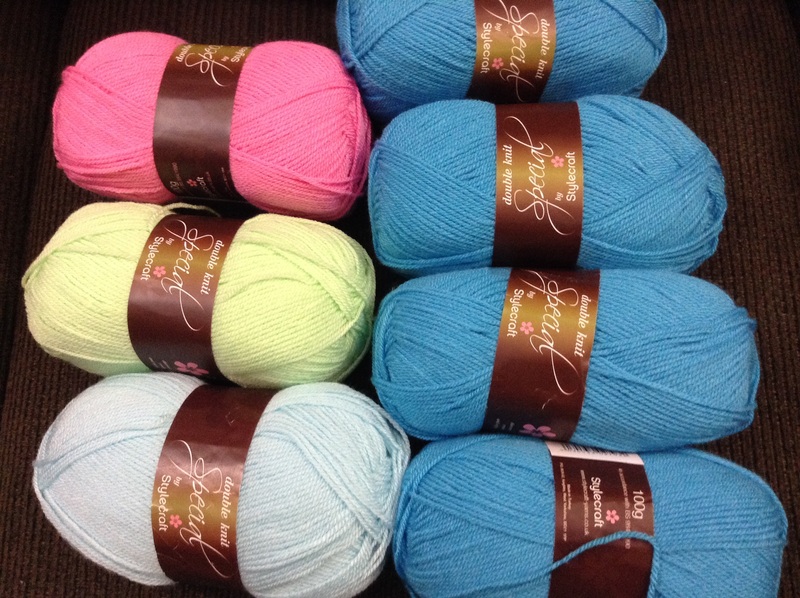 Sale fleece – buy 1 metre, get 2! Bonus! Remnant from work. 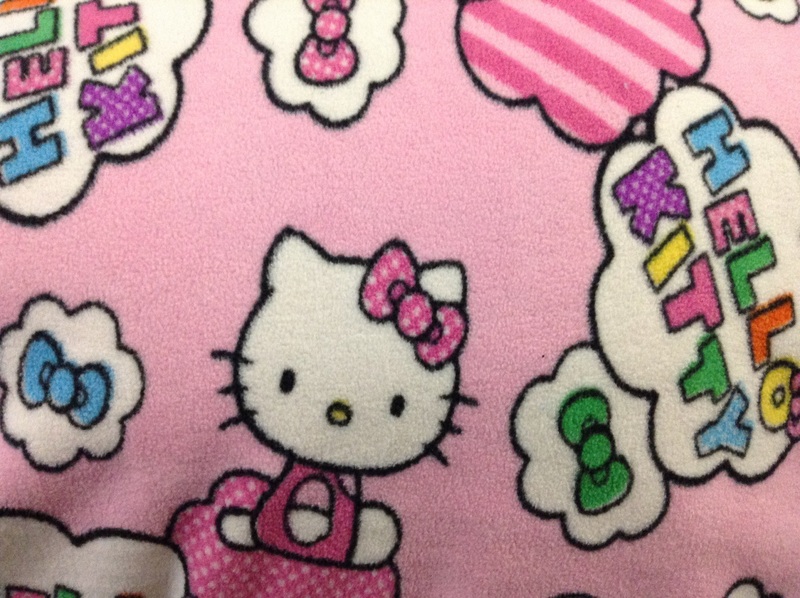 More Hello Kitty! Woohoo! Two yarn deliveries this week. Deramores sent my order in two batches as some of the yarn was back-ordered, but maybe the mail was moving faster than usual because it didn’t seem to take long for it all to arrive. 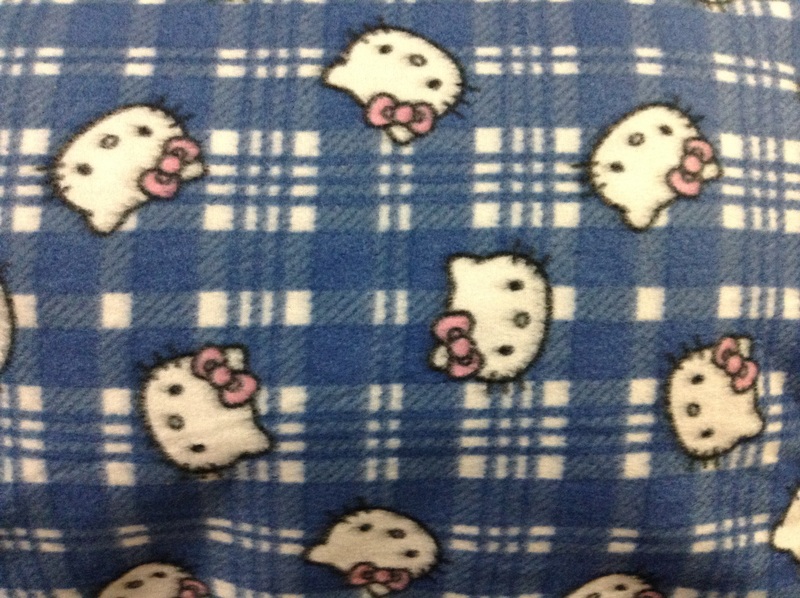 Not only that, but I brought home two pieces of Hello Kitty fabric tonight. One is a small remnant that was marked down at 75% off, the other was on sale for Buy One, Get Two. Both fleece. Our family is going to Wild Play tomorrow. The boys have been warned to be ready on time, as I have booked and paid for it online. Sunday, Tai Chi Man and I are attending a class, and Monday is Labour Day and blissfully free. After that, we will have to get used to a new schedule, as ds2 starts at the local college.